Wow. 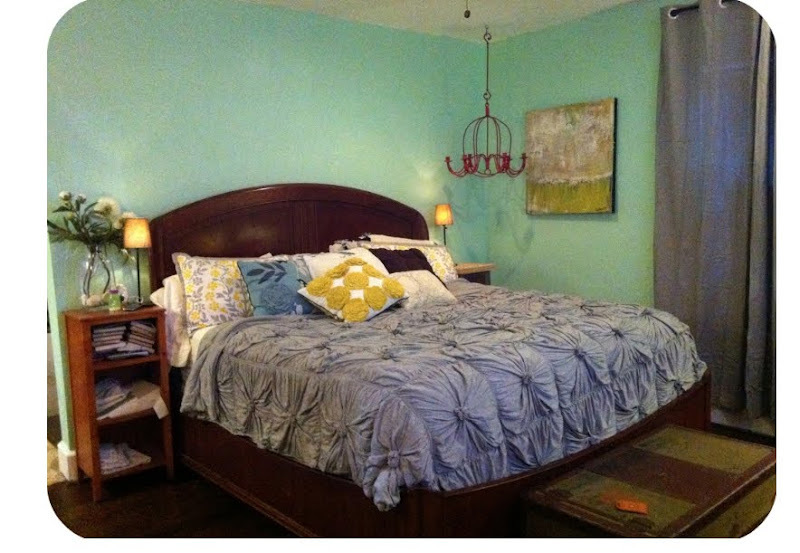 that bedroom is GORGEOUS! holy cow. Nice! I am calculating time and gas money from Memphis to Dallas so that I can send you and your man on your merry way while I cuddle 2 Weigands in that sumptuous bed in your gorgeous retreat!! Color, texture, arrangement and a S.S. fridge to boot!! Melange--tres magnifique! ummm… i LOVE it. 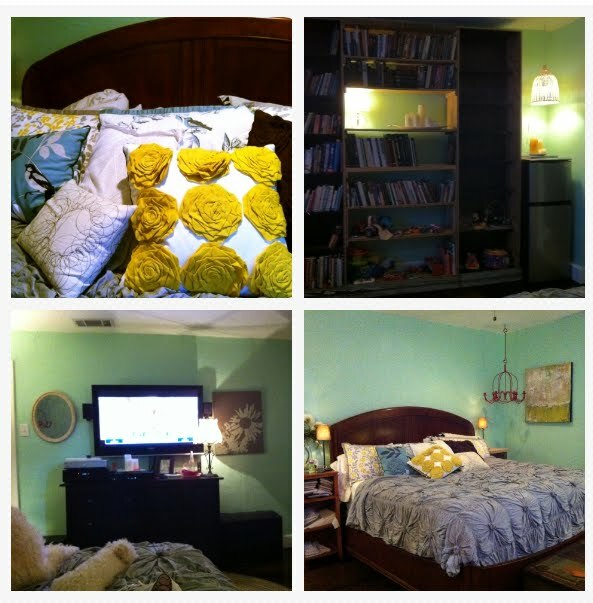 i have the same yellow rosette pillow from target in my living room. it was my splurge purchase. we are destined to be friends. do you mind telling me where you got your bedspread/duvet cover? i absolutely love it! i was also wondering where you got your white crib- it's so unique! thanks in advance! would you mind if I came and lived in your house? what was this paint color??? i'm in love!!! oh man so many people have asked and it was so long ago I cant remember ahhhh, it was from home depot though!